The multi-sensory project Kima – performed in March at Islington’s Union Chapel – explored the expanding discipline of immersive art, with a collaboration that involved sound, dance and projected visuals, writes Katie South. The art collective Analema Group and the Union Chapel Organ Project combined music, dance and complex visual and sonic technology. Sounds created by the musicians were analysed in real-time and transformed into geometric patterns that were projected onto the chapel’s octagonal ceiling. The performance comprised three sections: ‘Mare Unduram’, ‘Aurora’ and ‘Axis Mundi’. Each featured the chapel’s Henry Willis Organ, and the unique tone of this instrument was harnessed in a new way. The immaculate detail of Alain Renaud’s sound design, in combination with experimental vocal and instrumental work, filled the space. The interplay of sound, light and geometry, created by Kima’s use of projection-mapping technology, brought the performances to life. 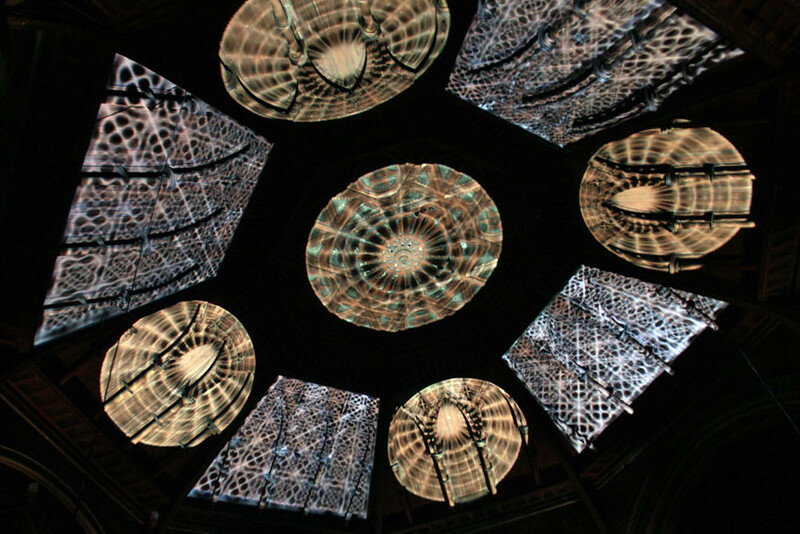 By using projections tailored to the Union Chapel’s octagonal ceiling, the roof became a living piece of visual music. Animated shapes and patterns that responded to the music fused with the Victorian Gothic architecture. This is a developing project that will be interesting to follow. While at its core it is immersive and extra-sensory, Kima’s use of site-specific sound design and projection mapping means that the performances can engage closely with local places and communities. The next step of the project is a performance for the 2015 Burning Man Festival. 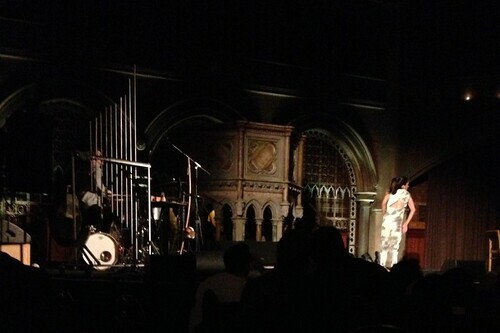 Kima stage performance in action at the Union Chapel, 2015. 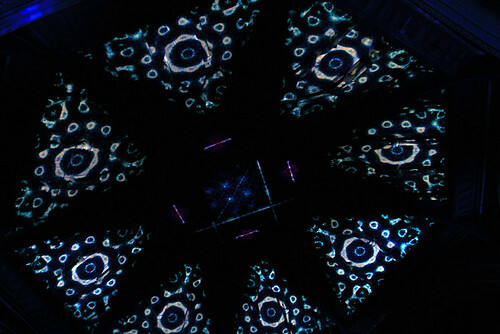 Top: Projection-mapping technology displayed on the Union Chapel’s octagonal ceiling. The performers included Claire M. Singer (organ), Joby Burgess (percussion), Laura Moody (cello), Robert Ames (viola), Emily Burn (voice) and dancer Estela Merlos. Analema Group’s members include artistic director Evgenia Emets, producer Oliver Gingrich, sound designer Alain Renaud plus Marcel Schwittlick (visualisation) and Jackson Tayler (mapping). 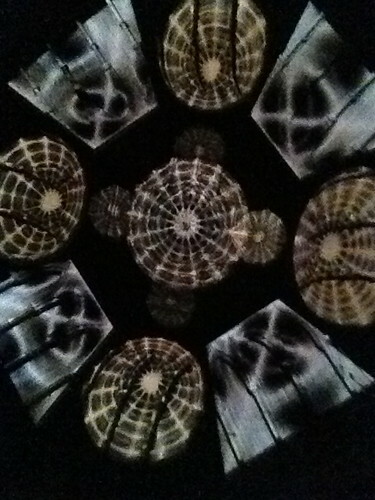 More projections shown on the Union Chapel’s ceiling.